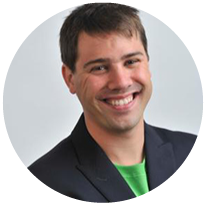 Co-founder and CEO of eToro.com, the world’s largest social investment network. He believes in liberty for all and free markets while understanding that societies will always try to keep profits low and companies always try to maximize it. CommuniFin is a social network for capital markets. CommuniFin members receive professional and neutral financial media to share insights, qualify feedback, boast their success and promote themselves. eLoan is a peer to peer lending platform. Our goal is to match Borrowers and Lenders directly using the web as a conduit. We launched 6 months ago and since then organized loans in an amount of 1.5 millions shekel and on boarding more than 200 Lenders. Bit2c Ltd. is the first Israeli company of its kind to provide a monetary exchange platform with Bitcoins, Litecoin and NIS using hi level technology and unique cold storage crypto currency secure system. Bondit is an expert developer and provider of proprietary comprehensive analytical solutions for global fixed income markets. The BondIT platform is designed to embrace all aspects of your fixed income management process. This includes key functional and support features that enable you to build, optimize and analyze portfolios, apply dynamic constraints and manage re-allocation and other fixed income decisions. Our goal is to provide you a top end platform for bond investments and make it affordable and accessible.